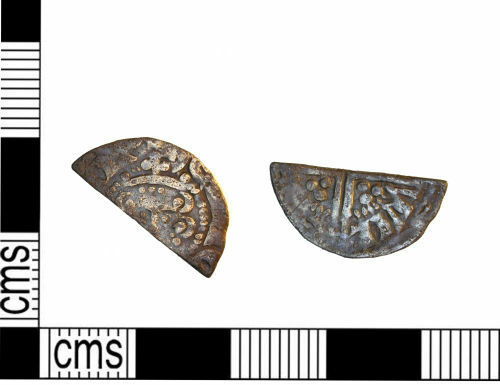 Medieval silver long cross cut halfpenny of Henry III. Medieval silver long cross cut halfpenny Henry III. Medieval silver voided long cross cut halfpenny of Henry III.